Many Venezuelans have already voted in Sunday’s key regional elections — with their feet, taking a one-way bus ticket out the country convinced the vote will change nothing. In a Caracas bus terminal, Jesus Ravelo and his wife Haydee jostled in the throng to say farewell to their son Josue, following in the footsteps of his elder brother who left a week ago. A yellow, blue and red Venezuelan flag was folded in his suitcase along with a banner on which friends have written their farewells. He left his architecture studies and will take his chances somewhere else. Several of his professors have left already. “How do I put all my life in a suitcase?” asked the 22-year-old as he joined a long line for a bus to take him across the border. The poll is seen as a key test for both President Nicolas Maduro and the opposition who failed to unseat him after months of protests in which 125 people lost their lives. Many opposition supporters like Josue believe they have lost the momentum and have turned a deaf ear on calls to turn out in huge numbers on Sunday. A big turnout could give the Democratic Unity Roundtable (MUD) opposition coalition victory in up to 20 of Venezuela’s 23 states, experts say, marking the first time since 2000 that the ruling socialist party would be forced to rule a country with so many opposition governors. But many are confused by Maduro’s insistence that a vote on Sunday would mean universal acceptance of the Constituent Assembly which he formed in July, packed with his own allies, to wrest legislative power away from the opposition-dominated national assembly. 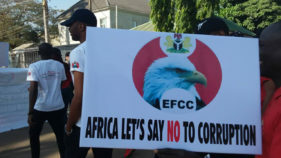 He has also made clear that incoming governors will have to take an oath of office and “subordinate themselves” to the Assembly that the opposition refuses to recognize. Josue said he took part in the protests against Maduro that turned some Caracas streets into a war zone between April and July, angered by a collapse in the oil-dependant economy that caused acute shortages of food and medicine. “I have a lot of friends who died after going out to march, I feel it wasn’t worth it,” he told AFP. Tomas Paez, a sociologist and an expert on migration, told AFP that up to half a million Venezuelans had left the country over the last couple of years. “We are talking about eight percent of the population. There is no single cause, but the biggest reasons are insecurity and a lack of food and medicines,” he said. Among the statistics is Alejandro Valiente, who used to be in the frontline of the anti-government demonstrations. But when those protests subsided in July, and the Constituent Assembly usurped the power of the parliament, the 31-year-old technician decided to pack up and go to the United States. “I was looking for some change with the protests, but I was seeing only impunity. I feel that it wasn’t worth it any more. Anyone who is leaving the country doesn’t want to go,” he said by phone from Plantation, Florida. Josue, meanwhile, prepared to take a well-worn bus route out of the country, to Ecuador and on to Peru — a seven-day trek of around 2,750 kilometers (1,750 miles) which will include five transfers. To save money he has sandwiches, sweets, jam, canned tuna, a container of melted cheese and several liters of water. His father Jesus, 57, owned a bakery which he had to sell because of inflation. His wife’s jewels, their two cars and kitchen appliances followed so they could buy tickets out for all of them. He and his wife will join their children in Peru by the end of the year. 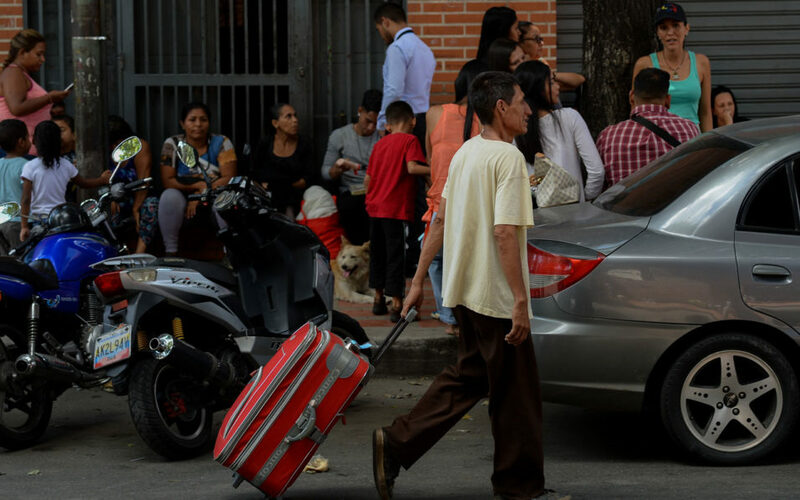 The first wave of emigrants caused by Venezuela’s economic crisis were the wealthy, but now the poor are leaving too, said sociologist Francisco Coello. There were tears and hugs at the bus station. Mothers like 42-year-old Angelica Castro were watching their children leave for the first time. Maria Godoy is saying goodbye to her eldest daughter, an architect, who is heading to Peru. “She left my 11-year-old grandson here,” she said. A son left for Aruba recently. The main destinations of Venezuela’s bright young things are the US, Spain and Italy, according to a 2016 emigration study.